Matt Braunger is perfectly capable of creating a stellar show. He is always completely engaged in his enthusiastic delivery, and we loved his performance at Comedy Bar last year for its "cleverly detailed writing,"
Unfortunately, Braunger's new show doesn't have the same amount of beautiful technicality behind its crafting. Most of his jokes were basically just statements of facts, such as "Men in their 40s are desperate" and "I can't handle my weed," but they still managed to be decently funny because of Braunger's animated delivery alone. Toronto is only the first stop on Braunger's Please Hold Me?!?! tour, so hopefully Braunger will bring this material up to the standard of his glorious potential in the upcoming months. 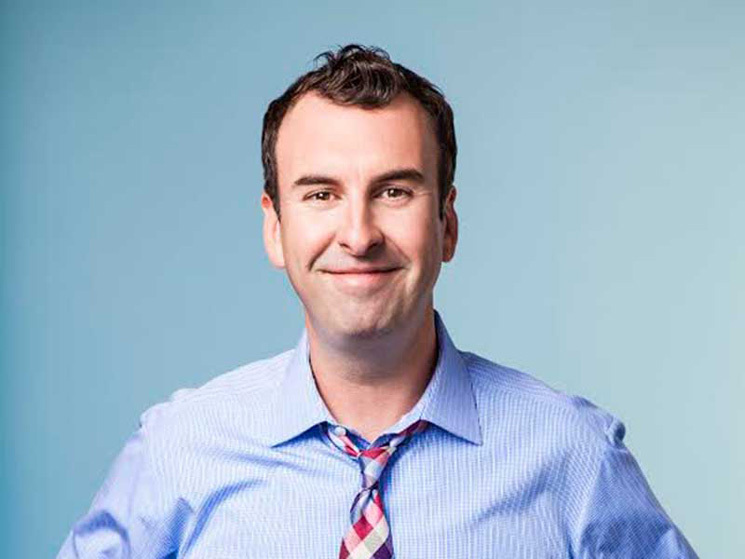 For now, JFL42 audiences can expect a show that's still fun, but won't match expectations set by Braunger's more polished work, such as his hilarious Netflix special Big Dumb Animal. Opener Tom Thakkar performed an amazing set before Braunger's amusing hour. His joke about being mistaken for being Guatemalan was very funny in its specificity, plus his anger about the fact that corn refuses to turn into poop when you digest it was even more comical in its ridiculous originality. Matt Braunger had a few bits that hit the same bar as Thakkar. His joke about his wife embarrassing him in public was viciously funny, plus his narrative about a belligerent man who pettily got in a taxi in order to chase a bus was riveting. Nevertheless, Tom Thakkar ended up being the more memorable comic of the night.